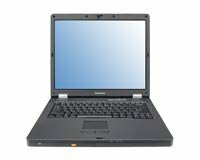 IBM Lenovo 3000 C100 - Compare Reviews and Buy from our Retail Partners! The IBM Lenovo 3000 C300 brings the stability and service of the durable ThinkPad line to consumers who want high quality at budget prices. The IBM Lenovo 3000 C300 brings the stability and service of the durable ThinkPad line to consumers who want high quality at budget prices. The C300 makes a wonderful companion for the business user on the go, weighing a manageable 6.4 lbs. and still offering a high-resolution 15" display. It's also a highly connectible notebook, with four USB ports, a FireWire port, an S-Video port, and a 3-in-1 memory card reader (Memory Stick/MS Pro, SD, MMC). It may not seem as flashy as some of the more expensive notebooks on the market, but the C300 still holds its own, and at a fraction of the price.